Sa discographie comprend de nombreuses parutions dont l’enregistrement du concerto d’Henri Tomasi avec « l’English Chamber Orchestra » et d’oeuvres baroques avec l’ensemble « Leipzig Amici Musicae » (Cristal Records-2009). Il a enregistré la collection de DVD-ROM pédagogiques « Musik’It » rassemblant 250 oeuvres originales pour trompette et piano (Cristal Records-2008). Clement Saunier est professeur de trompette au Conservatoire de Région de Paris ainsi qu’au Pôle supérieur Paris-Boulogne depuis 2015. Il enseigne également au « Center for advanced Music » de Chosen Vale aux USA (NH) et assure l’encadrement des cuivres de l’orchestre de l’académie de Lucerne (Suisse) depuis 2014.Il dirige l’académie de cuivres et percussions de Surgères qu’il a crée en 1998. Il est directeur artistique du Festival du réseau Spedidam « Le Son des Cuivres » de Mamers depuis 2013, et du « Surgères Brass Festival » depuis 2016. Clément Saunier is one of the most active classical trumpetists on both the French and International stage. After studying with Clément Garrec at the Conservatoire National Supérieur de Musique in Paris, he obtained prizes in several international interpretation competitions: Citta di Porcia (Italy 2002), Prague Spring (2003), Jeju (South Korea 2004), Théo Charlier (Brussels 2005), Tchaikovsky (Moscow 2011). Clément Saunier is also the last French laureate in the last Maurice André trumpet competition (Paris 2006). An international concert artist, his repertoire ranges from the Bach’s 2nd Brandenburg Concerto to contemporary works (Maresz, Pintscher, Ligeti, Stockhausen, Berio). As such he is invited to perform recitals or to be accompanied by larger orchestral ensembles on stages across the globe. (Germany, Switzerland, Colombia, Japan, Italy, South Korea, Slovenia, Russia…). Particularly interested by chamber music, he is the founding member of Trombamania as well as the Paris Brass Quintet and performs as a trumpet duo with Pascal Marsault. His numerous discography includes a recording of Henri Tomasi’s Concerto with the English Chamber Orchestra, as well as Baroque works with the Leipzig Amici Musicae ensemble (Cristal Records, 2009). He has recorded the educational DVD-ROM collection “Musik’It”, which collects 250 original works for trumpet and piano (Cristal Records, 2008). He has also recorded several discs with the band of the Paris prefecture of police, including André Jolivet’s 2nd concerto for trumpet (Maguelone, 2005), Ida Gotkovsky’s concerto for trumpet (Cristal Records, 2009), and the concertos for trumpet by Roger Boutry, Charles Chaynes, Lalo Schiffrin and Anthony Girard (Corélia, 2014). 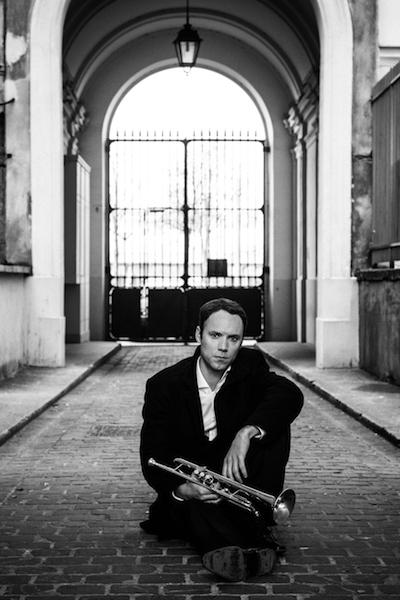 Clément Saunier teaches trumpet at the Paris Regional Conservatoire since 2015. He also teaches at the Center for Advanced Musical Studies at Chosen Vale, New Hampshire,USA, and manages the brass musicians at the Lucerne Festival Academy, Switzerland, since 2014. He directs the Brass and Percussion Academy in Surgères, France, which he created in 1998. He is the artistic director for the SPEDIDAM’s (Society for the Collection and Distribution of Royalties for Performing Artists) festival Le Son des Cuivres in Mamers, France, since 2013, and also for the Surgères Brass Festival since 2016. Clément Saunier is a Yamaha artist.